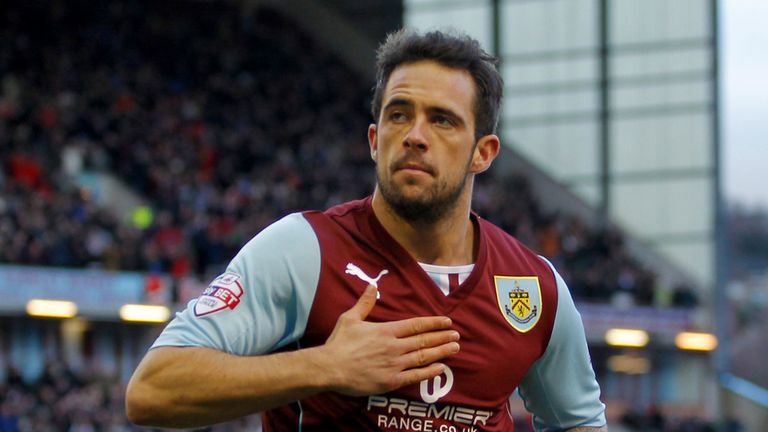 Liverpool have signed young English forward Danny Ings from the relegated club Burnley. He will join the club in the end of June when his current contract runs out writes Anuj Stark. Danny Ings has scored 11 goals and has provided four assists throughout the season for The Clarets. He has been a part of the Under-21 England squad. But will be be the answer to Liverpool’s problems in the goals department? I just can’t see how he could. His stats have been amazing this year. He has scored more goals than Mario Balotelli, Daniel Sturridge, Fabio Borini and Rickie Lambert combined. He has got the potential to become England’s number 10. The only thing that kills a high potential English Striker is “The Hype”. Once a forward in England has a good run of form he gets pay raises, offers from big clubs and then the media goes crazy to take interviews with him. It’s only here in England that this “Hype” kills the potential of the player, and it is Andy Carroll or Danny Welbeck the “Hype” has killed the potential. Ings has got his big move to a big club and has high expectations from a club who have been waiting for that silverware since a long long time. He will have competition from Balotelli and Borini both who I think have a great future ahead of themselves. He could pair up with Sturridge or maybe even Sterling in the striker position. One thing is for certain, he won’t get much game time in Liverpool. If he needs to he needs to be in the form of his life in the early days for the Reds. Brendan Rodgers is always experimenting with his formations and squad and he will try his best to get Liverpool back to the top four, will Ings be a part of is success story? Will he live up to the expectation of the kop? Or will be another forgotten English forward?